Union midfielder Derrick Jones has been called up to a United States under-23 national team camp that’s being held in Spain during the FIFA international window from this week through early next week. Union midfielder Derrick Jones has been called up to a United States under-23 national team camp that’s being held in San Pedro del Pinatar, Spain, during the FIFA international window this week and early next week. It’s a sign that Jones will be considered for next year’s Olympics, the pinnacle event for the age group, and Concacaf’s qualifying tournament in October. He will miss the Union’s home game against the Columbus Crew on Saturday (7:30 p.m., PHL17). Jones and many other players on the squad were already in Spain when the U.S. Soccer Federation announced the roster. The team has some top senior national team prospects who were deliberately omitted from the squad for upcoming games against Ecuador in Orlando on Thursday (8 p.m., ESPN2 and UniMás) and Chile in Houston next Tuesday (7:55 p.m., ESPN2 and UniMás). Marquee names with the under-23s include forwards Josh Sargent (Werder Bremen) and Tim Weah (Paris Saint-Germain, on loan at Celtic), and defenders Cameron Carter-Vickers (Tottenham Hotspur, on loan at Swansea City) and Antonee Robinson (Everton). Another player with local ties is Trenton-born defender Matthew Olosunde (Manchester United). While in Spain, the under-23s will play Egypt on Friday and the Netherlands on Sunday. The coach will be Jason Kreis, and U.S. Soccer announced that he’ll run the team through the Olympic cycle. Kreis led Real Salt Lake to the 2013 MLS Cup and 2014 Concacaf Champions League final, but struggled in subsequent gigs in charge of New York City FC and Orlando City. Coaching this age group should suit him well. In late January, forthcoming MLS expansion team Inter Miami hired Kreis to a front-office role ahead of their inaugural season in 2020. Inter Miami said Kreis will work both jobs at the same time. That isn’t unheard of -- the under-23 job isn’t really a full-time position -- but Kreis will be watched for potential conflicts of interest. Another Union player with Olympic team potential, defender Auston Trusty, was not called up. But that’s not a sign he’s out of the mix. The 20-year-old Media native is definitely a candidate to make the Olympic qualifying roster, but he’s needed more at home right now. He is likely to start Saturday’s game against visiting Columbus. 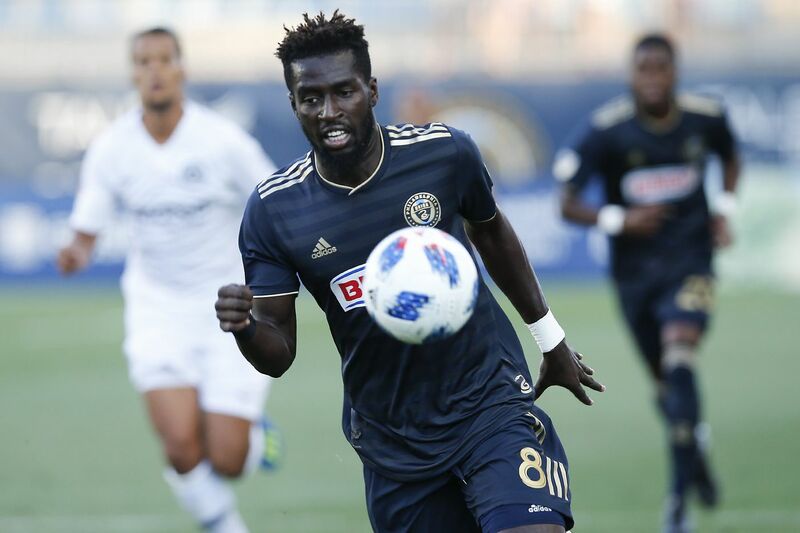 The Union will be without seven players Saturday: Jones, Matt Real (U.S. under-20s), Andre Blake (Jamaica), Cory Burke (Jamaica), Warren Creavalle (Guyana), Sergio Santos (injured), and Kacper Przybylko (injured). Columbus’ roster will also be depleted by international call-ups, including Gyasi Zardes (U.S. senior men), Wil Trapp (same) and Justin Meram (Iraq). Coatesville native Zack Steffen was also to be with the U.S. men, but he was withdrawn because of a minor knee injury he suffered in the Crew-FC Dallas game this past weekend.